In 1956 Clem Kleinig married his sweetheart, Val, and moved over from South Australia to Crib Point, Victoria to live. 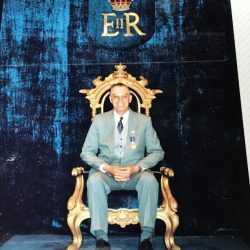 Over the ensuing years he formed a friendship with local identity, Arthur Peterson, who owned the local service station and was the town mechanic. It was through this friendship that Clem was introduced to the Uncle Bobs Club in 1968 when Arthur invited Clem to attend the 1968 Annual General meeting of the Uncle Bobs Club at the Melbourne Town Hall. He then joined the Peninsula Group Branch and so began a long and distinguished association with Uncle Bobs Club. His association with the Club is legendary on the Mornington Peninsula and he has been a driving force behind the success of the Peninsula Group. Appointed Secretary /Treasurer in 1973 he still holds these positions within the club until this very day. 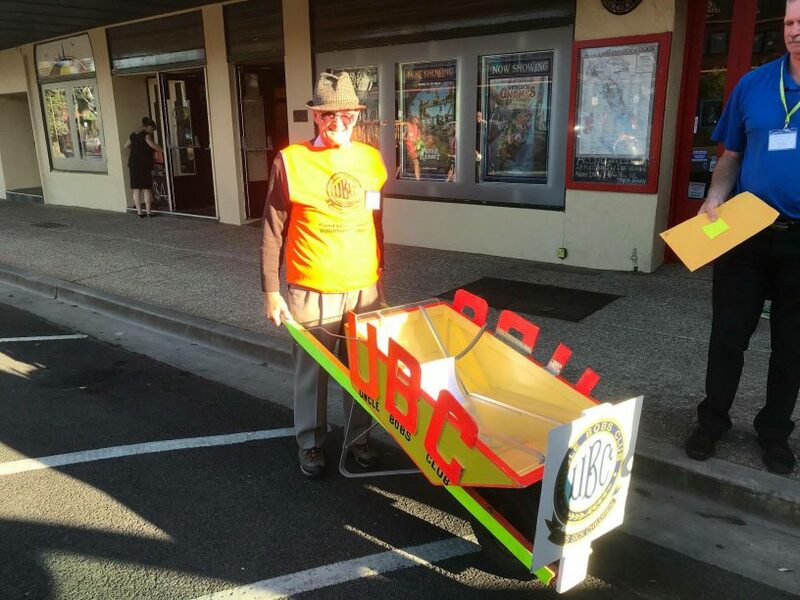 This year Clem attended his 50th Good Friday Annual Wheelbarrow push – that’s 50 in a row without missing even one! Highlights for Clem are many but include receiving a shield from then Children’s Hospital CEO Christine Unsworth for reaching $1 million in donations for the Peninsula Group. (This figure to date is now closer to $2 million). 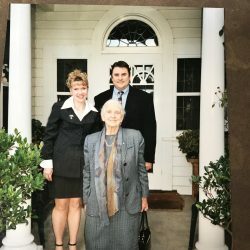 Clem was instrumental in helping organise the 60th Anniversary of the Uncle Bobs Club at the Mornington Racecourse and in the process met and worked with the late Dame Elisabeth Murdoch. During the early days, he had meetings with Dr. David Danks who had a special relationship with the Uncle Bobs Club. Dr. David Danks was Director of the Murdoch Institute at the Royal Children’s Hospital and was the Club’s first ever Travelling Scholar. Clem’s biggest thrill, however, has been watching the growth of The Royal Children’s Hospital into the magnificent hospital it is today and knowing that the Peninsula Group has made such a significant contribution. 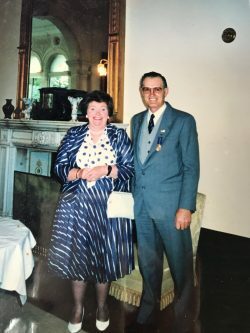 Such has been Clem’s contribution to the Uncle Bobs Club as well as other community programs and ventures that Clem was awarded an OAM in June 1988 for services to the community. That speaks for itself. Clem’s wife Val and his three children, Susy, Bernie and Gordon have been with Clem all the way. Val has been a rock to Clem and his constant companion and has been an active servant of the club for the whole time Clem has been involved. Susy has been an active member of the Club for as long as she can remember receiving a life membership from Don Kinsey in 2003. Susy currently holds the position of Peninsula Group President. Bernie and Gordon have also been club members since childhood and both boys play a huge role every Good Friday as key players in the wheelbarrow push. In fact, all members of the family including partners, children and grandchildren are involved in some way with the Uncle Bobs Club.